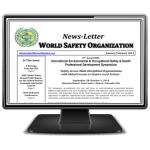 The World Safety Organization offers a broad selection of accredited professional certifications for Environmental and Occupational Safety and Health professionals worldwide. The WSO Board of Directors consists of 21 members (minimum) representing membership worldwide. 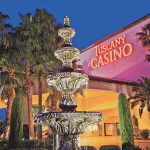 Set just two blocks from the Las Vegas Strip, the Tuscany Suites & Casino is a Mediterranean-inspired all-suite casino hotel located two miles from the Las Vegas Convention Center. Understated suites with warm decor have free basic Wi-Fi , flat-screen TVs, kitchenettes, and sitting and dining areas. Dining options include an Italian restaurant/bar, a pub, a cozy eatery with sandwiches and pastries, and a cafe with a 24-hour breakfast menu. Other amenities include a spa and a casino with live entertainment, plus a fitness center, two pools, a business center, and laundry facilities. There are many reasons to attend WSO’s Symposium this year, but the Top 10 Reasons benefit you as both a WSO Member and a Safety Professional. We look forward to seeing you there! Individuals wishing to sit for WSO Certification Examinations may do so during the Symposium. However, approval of the applicant’s certification application package, from the WSO Certification Board, will be needed before the applicant is eligible to sit for the WSO Exam.